A LUNGFUL OF DIESEL POLLUTION IS NO WAY TO START A SCHOOL DAY. 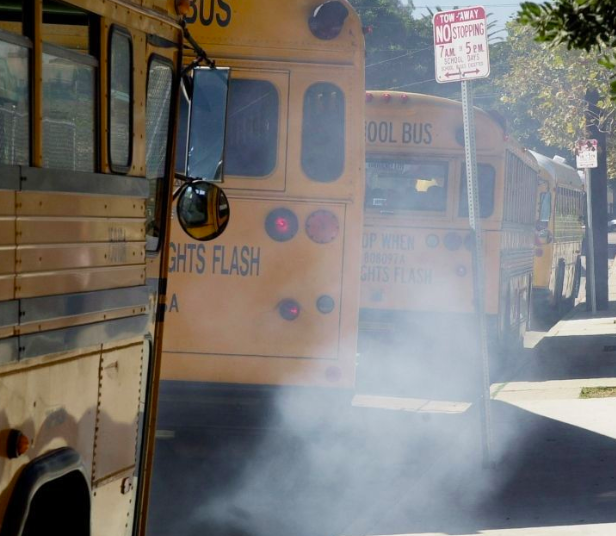 95% of US school buses are diesel. Half are so old, they lack pollution controls. In the US, diesel exhaust causes 125,000 cancers, 27,000 heart attacks, and 14,500 hospitalizations for asthma and lung disease each year. Diesel fumes concentrate inside older buses, exposing kids to pollution levels higher than outside air. Clean electric school buses have a range of over 100 miles. 1. Call your school district transportation office and find out if they have buses older than 2010. These are the buses that VW funds can replace. Ask if they are already applying. 2. If your district has pre-2010 buses, talk to school board members and ask them to put this on the agenda ASAP. 3. At the meeting tell the school board about their old polluting buses. Share the NYT article and CBS report below. Explain that funds are available and ask them to apply. Sign a petition to your governor.